That's right lady loves, florals aren't just for spring anymore we can wear them all year around! 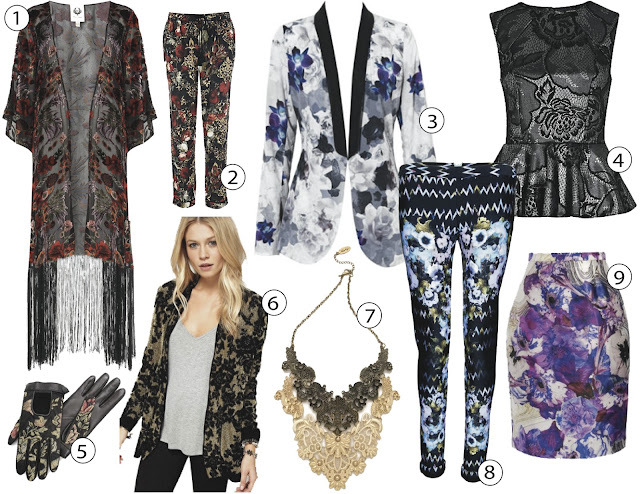 Sticking to floral prints on dark bases will keep you on trend this fall. Whether you are looking for a full on floral look for a special event or keeping things chic with smaller more subtle pieces as I prefer, one thing is for sure - wearing florals will help make you look less dull over the hibernating months. Florals are a print I'm actually super picky about. Although I love it for its femininity I find a lot of it either tacky or just not my cup of tea. That being said I do own a piece of two. Florals that you can find in my closet include floral lace blouses, a pair of pants and my favourite piece you can find marked as number 3 below in my shopping guide. 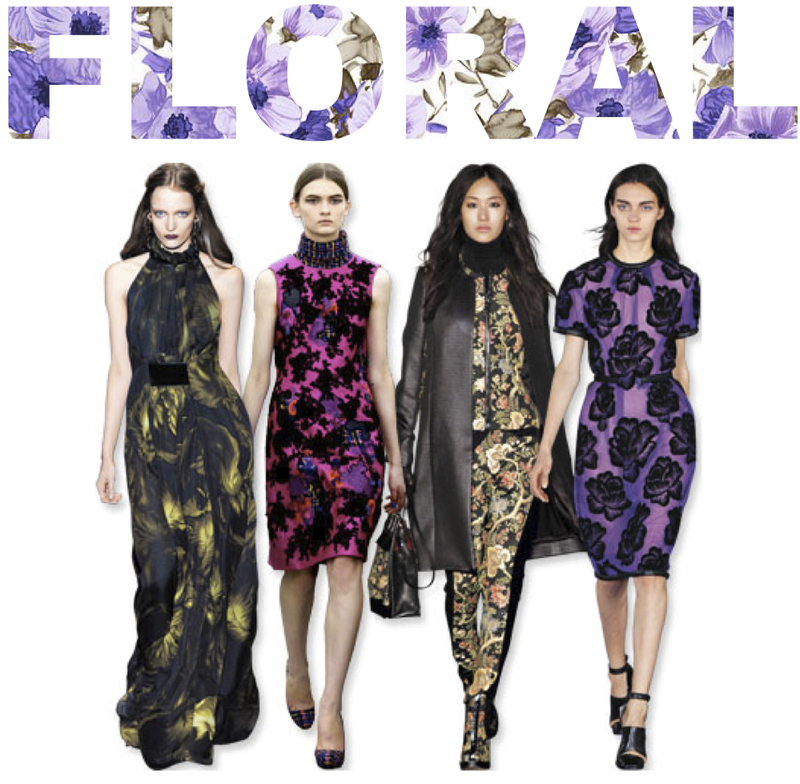 How do you feel about wearing florals over the dreary months ahead? 1 Topshop. 2 River Island. 3 Style Stalker. 4 River Island. 5 Rag & Bone. 6 Asos. 7 Adia Kibur. 8 Cynthia Rowley. 9 Prabal Gurung. Such a nice trend ! Love the inspirations ! I LOVE, LOVE, LOVE the darker florals that are out for Fall/Winter. I will definitely be picking up some pieces. Love your selections, especially that gorgeous Prabal Gurung skirt! Incredible!! I love this post! Florals are so fun for the fall! Great picks! I love floral for fall. Especially loving zinas take! Love your blog!! Newest follower! Love floral prints! amazing post.